Feed screw quickly adjusts sizes and keeps pipe centered on stand. Rollers can be locked to prohibit rotation. 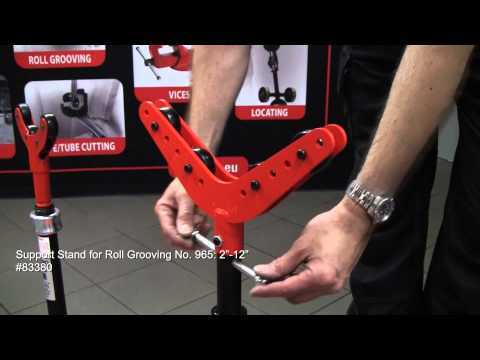 Ideal for use with threading machines, roll grooving or other pipe working applications. What is the load capacity for the AR-99 Roller pipe stand and VJ-99 pipe stand?